The Salvation Army Emergency Disaster Services program (EDS) provides physical, emotional and spiritual comfort in times of disaster. Our disaster volunteers are trained to assist in all kinds of emergencies by providing food, clothing, shelter or financial resources to those affected by such calamity. Working with local emergency management and other community disaster organizations, The Salvation Army collaborates to provide the best possible services to those in need. Officially, The Salvation Army began providing emergency disaster services on Sept. 8, 1900 when a hurricane devastated Galveston, Texas, leaving more than 5,000 people dead. Salvationists also served alongside the military in WWI, where “Donut Lassies” supplied fresh donuts and coffee to men on the fighting lines, and in WWII, aided in the creation of the USO and Red Shield Clubs. More recently, The Salvation Army served at Ground Zero following 9/11 (remaining at the scene for nearly two years), in New Orleans after Hurricane Katrina, as well as in Haiti and Chile after the 2010 earthquakes. Often, the most visible Salvation Army disaster service is the hot meals and drinks served to disaster survivors and emergency workers. Food may be prepared and served at congregate feeding sites, such as Salvation Army facilities, shelters or mobile canteens. 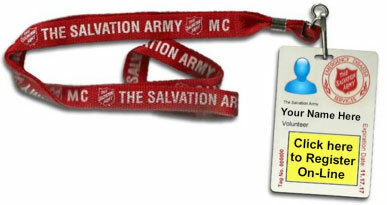 The Salvation Army is a national first responder in times of disaster. Responsibilities include, but are not limited to; dispatching mobile feeding units to provide food, water and other basic essentials on scene, set up comfort stations, transitional housing, and provide clean-up supplies, as well as trained support staff and emotional and spiritual counselors. Imagine that a hurricane, tornado, or fire completely destroys your home or your entire neighborhood. If you are one of the more fortunate ones, you have resources to get through until the insurance check arrives. But if you are one of the majority of people who can barely make it from paycheck to paycheck, an event like that could be devastating. Where do you turn for basic needs like a roof over your head, clothing, medicine, or your next meal? Where do you go to start picking up the pieces of your life? That is what The Salvation Army does during and after a disaster. Sometimes the need is as simple as a bottle of water to a fireman or a helping hand to clean up after a tornado or hurricane. Or, it might just be a shoulder to cry on or someone to pray for you. Look for our Emergency Disaster Services vehicle; know that we are on the job and we are here for you and your family in your time of need. By donating money, or volunteering your time, you can make a difference in someone’s life when they need it most. By giving to The Salvation Army you can be part of a worldwide organization that has been helping people during catastrophes great and small for over 100 years, one person at a time. and a local representative will call you.